As you get older, or if you have experienced an injury, brain and neurological functions may not be as sharp as they once were. It's challenging but it's not your fault. Thankfully there are supplements designed for supporting your brain, neurological, and memory function. 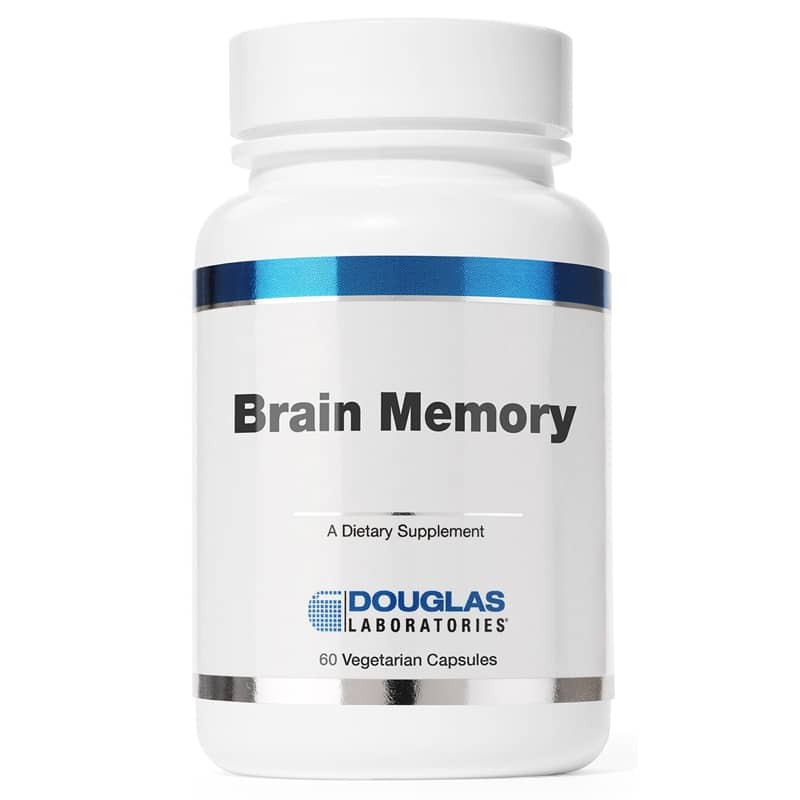 Douglas Labs offers Brain Memory supplements as a synergistic combination of nutrients. 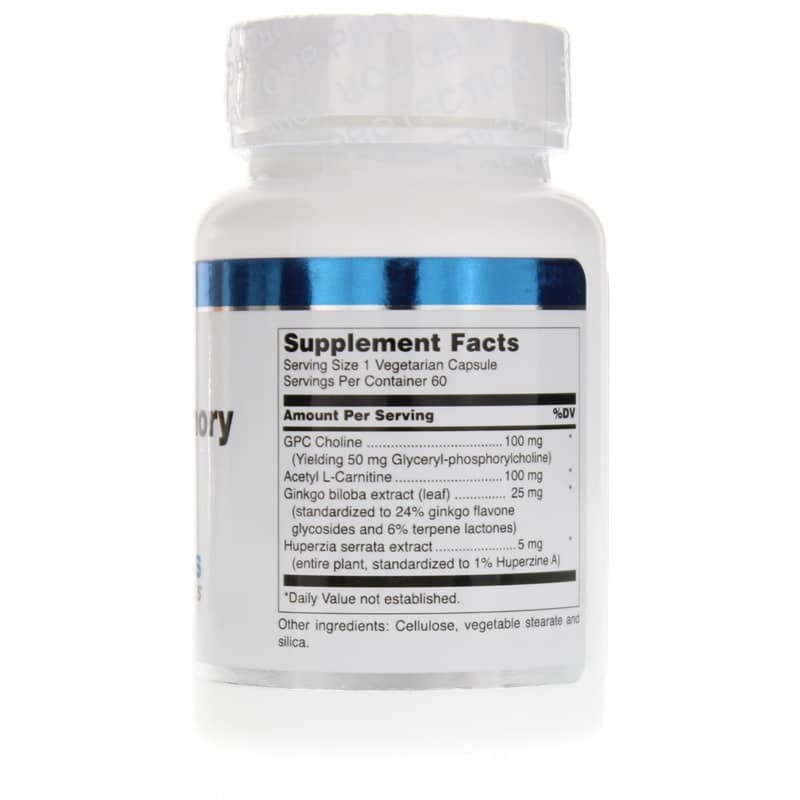 It is specially designed to help produce the acetylcholine needed to provide support in keeping the mind sharp. It may be a useful dietary supplement for individuals wishing to support neurological functioning and acetylcholine production. Membranes are the working surfaces of every cell, carrying out the essential functions of cellular communication and hormonal signal transduction. Nerve cells, in particular, depend on healthy membrane function for normal neurotransmitter metabolism and nerve signal transmission. Choline: a component of phosphatidylcholine, is used for synthesis and maintenance of normal cell membranes. Huperzine A: an inhibitor of acetylcholinesterase, the enzyme that degrades acetylcholine. This neurotransmitter is important for normal memory and learning function. 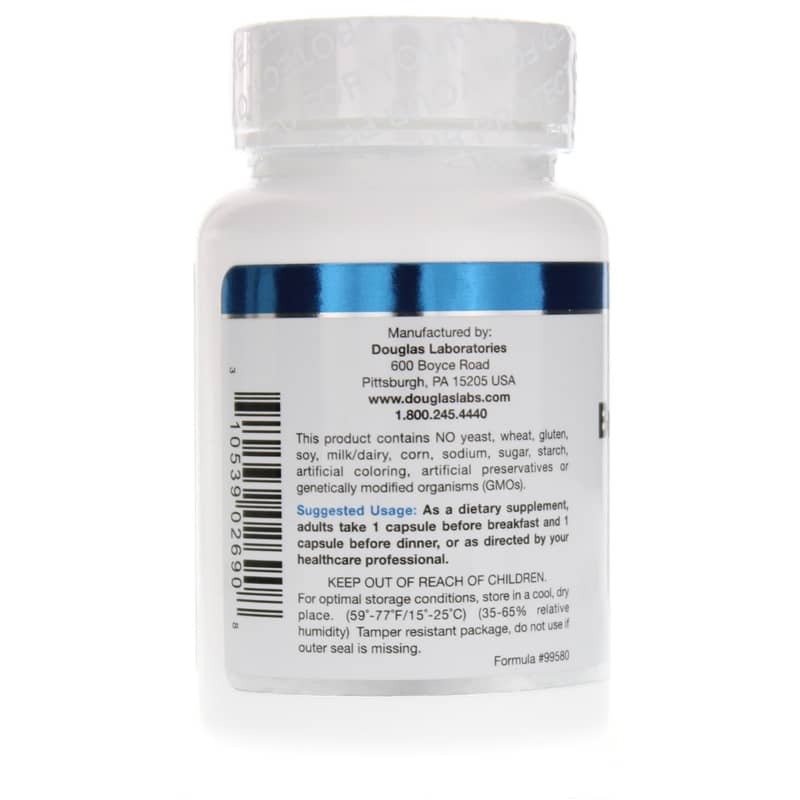 Huperzine A may help support maintaining cognitive function that has been degraded by a reduction in the brains functional levels of the neurotransmitter acetylcholine. Acetyl-L-carnitine: contributes its acetyl group to the production of acetylcholine, the primary neurotransmitter for memory and thought. The enzyme that makes acetylcholine from acetyl groups and choline is choline acetyl transferase. The activity of this important enzyme has a tendency to decline with age. Consider Brain Memory supplements to help optimize your brain function. Try it today. Contains NO: yeast, wheat gluten, soy protein, milk/dairy, corn, sodium, sugar, starch, artificial coloring, preservatives, or flavoring. Adults: As a dietary supplement, adults take 1 capsule before breakfast and 1 capsule before dinner, or as directed by your healthcare professional.